After the VOTE, you are cordially invited to a FREE viewing of the award winning documentary, “The Greenest Building.” This is an hour long documentary, narrated by David Ogden Stiers. The Greenest Building explores the myth that a “green building” is a new building and demonstrates how renovation and adaptive reuse of existing structures fully achieves the sustainability movement’s “triple bottom line” – economic, social, and ecological balance. Consider running for Ward Representative/Council Seat in 2013. There can be no greater contribution or satisfaction than aligning with other candidates in the Reform Movement to guide the future of Pottstown. Run on the issues, not party affiliation. Team work will be key. Information will be available at this event. Wards 1, 3, 5, 6, 7 are up for re-election. The scene at the corner of Chelten and Wissahickon avenues in Philadelphia said it all: A blue mountain bike, badly mangled and turned upside down, but still somehow tethered to a bicycle rack. The city and its suburbs emerged shaken but largely intact Tuesday morning, after taking a night’s beating from Sandy’s high winds and rain. Some people remained in shelters, but waterways were receding in certain areas, and many residents were coming outside to survey the damage and take a deep breath of relief. Travel remained challenging, with downed power lines and trees closing streets. SEPTA began resuming services at noon, hoping to bring the system to full strength piece by piece. Shopping malls planned to reopen Tuesday, though an estimated 1.2 million were without power across Pennsylvania. 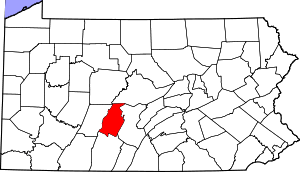 A Peco spokesperson said total outages for Southeastern Pennsylvania reached more than 800,000 at the height of the storm, shattering previous records, and as of Tuesday morning 585,000 were without service. Restoration could take days. Officials in Atlantic City scrambled this morning to fully assess the extensive damage caused by Sandy, which launched a direct hit there last night, submerging most of the city in water. But they let out a collective sigh of relief: No deaths had been reported as feared when thousands were trapped in the city. And other Shore towns found less damage than thought. 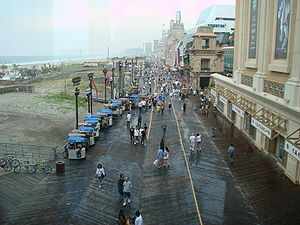 Authorities in Atlantic City were going door to door throughout the city early this morning. Some streets were still impassable. And parts of the boardwalk were torn away in the north end. 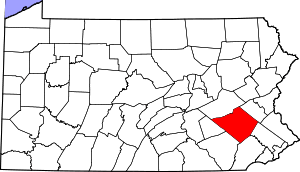 Hurricane Sandy left about 400,000 homes and businesses in the Lehigh Valley and Poconos regions in the dark and without as many trees and has been blamed for the death of a 17-year-old Wind Gap boy and a Berks County man. Robert Mills of 81 Eighth St. died in Lehigh Valley Hospital-Cedar Crest after crashing an all-terrain-vehicle into a fallen tree about 9:30 p.m. Monday in Plainfield Township, Lehigh County Coroner Scott Grim reported. Grim said Mills was thrown off the ATV when he drove into the tree which had fallen on W. Center Street near Route 33, and he suffered fatal head injuries. 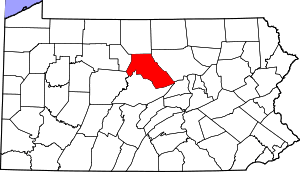 Local officials did not report any significant damage to buildings or public structures except for three house fires Monday night in Buck County in the 1300 block of Old Bethlehem Pike near Quakertown and in Tinicum Township and Chalfont. Though it was not immediately clear if they were linked to the storm, an emergency radio dispatcher said no injuries were reported in the fires. PHILADELPHIA — A one-two punch of rain and high wind from a monster hybrid storm that started out as a hurricane battered Pennsylvania, leaving more than a million people without power as officials prepared to assess the damage Tuesday. 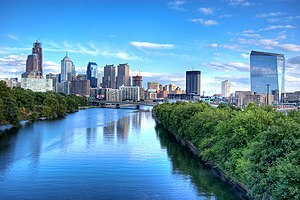 The storm soaked Philadelphia and its suburbs Monday night but forecasters said the worst was behind the state by daybreak Tuesday. Major interstates around Philadelphia reopened Tuesday morning although some speed and vehicle restrictions remained in place across the state. Additional road closures were likely in the day ahead, as the center of the storm was forecast to turn north from the Harrisburg area. The severity of the storm in Pennsylvania expressed itself during the day Monday through a set of increasingly worrisome numbers, from the hundreds of people who fled their homes in the southeastern part of the state to the power outages affecting more than 1.2 million customers by early Tuesday. Several local roads are closed because of downed trees, utility poles and wires, emergency officials said this morning. Route 61 is closed between Route 73 and Ashley Way in Ontelaunee Township, and Route 183 is closed between West Leesport Road and Palisades Drive in Bern Township. There were also reports of trees blocking secondary roads and scattered power outages throughout Berks County and surrounding areas, dispatchers said. 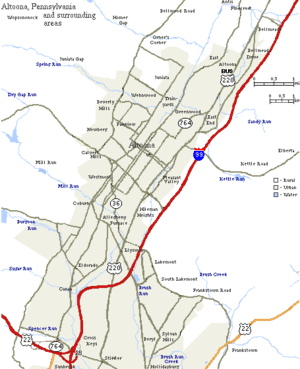 The West Shore Bypass, Warren Street bypasses and Interstate 176 and 78 were open in all directions. Met-Ed spokesman R. Scott Surgeoner said utility crews from as far away as Michigan were fanning out this morning across Berks County assessing the damage from the remnants of Tropical Storm Sandy. 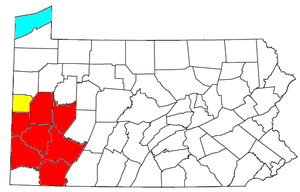 By 9:15, Met-Ed reported more than 67,000 customers were without power, including more than 8,800 in Reading; nearly 5,800 in Exeter Township; and more than 4,000 in Cumru Township. 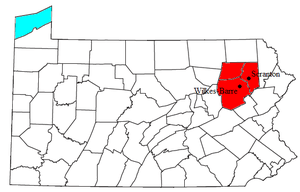 PPL Electric Utilities reported about 4,000 outages, of which about half were in Wyomissing. In order to get a jump on storm damage, Met-Ed had crews out Monday night and early today during the height of the high winds and sometimes heavy rains. “Once the winds reach 40 mph we can’t have anyone in a bucket up in the air,” Surgeoner said. 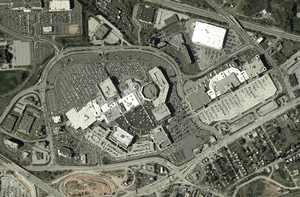 King of Prussia Mall will open late today, Tuesday October 30th, due to weather. The mall will open at 1PM, though some stores may remain closed. Please check with your favorite store to find out about their opening hours today. As Hurricane Sandy continued to batter the East Coast and mid-Atlantic states, county officials in central Pennsylvania moved Monday to enact emergency disaster declarations ahead of the storm’s expected turn toward the area. 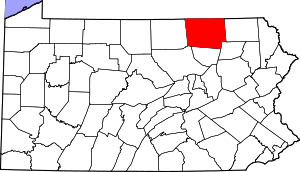 Bedford, Blair, Centre and Huntingdon counties issued emergency disaster declarations, and other Pennsylvania counties are expected to follow suit. The declarations mean emergency management officials and first responders have greater access to resources necessary for relief efforts without the “red tape” of soliciting bids or other typical government procedures, Bedford County Director of Emergency Services Dave Cubbison said. “We’re definitely going to have water,” Cubbison said. Due to weather emergencies concerning Hurricane Sandy, King of Prussia will be closed on Monday, October 29th. Please check back as the storm progresses for updates regarding opening hours on Tuesday, October 30th. 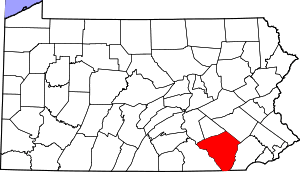 NORRISTOWN, PA (COURTHOUSE) — As Hurricane Sandy bears down on Montgomery County, residents can turn to county public safety officials for information about the hurricane. The Montgomery County Public Safety Department announced Monday morning that staffers are manning phone lines to answer residents’ questions about the storm. Residents with questions about what is happening in their area can call 610-631-9700. John A. Corcoran, deputy director of external affairs for the Montgomery County Public Safety Department, stressed the phone lines are for general questions, not emergencies. 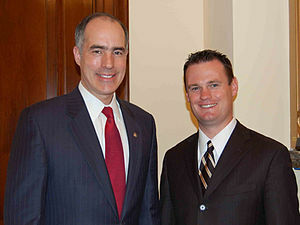 “They should call 911 if they have an emergency and call their utility if they have a power outage,” Corcoran explained.